David Villa has posted an announcement via his social media channels that he is leaving New York City and shared the destination of his new club. He is leaving America and moving to Japan to join Vissel Kobe where he will meet some familiar faces like Andreas Iniesta and Lukas Podolski. "Another step towards becoming the number one club in Asia", a bold statement from a club who have clear intentions of rising to the top. The path they're taking to become the number one club seems to be a policy of targeting those players who have a huge name in football and are approaching the end of their careers. Andreas Iniesta was brought to Kobe to much fanfare, and he joined Lukas Podolski who was already at the club when he arrived. Both of these players are well known throughout the world and now they've added David Villa, all in their 30's but all still good enough to do the business on the pitch. They first need to help Vissel Kobe become the best team in Japan before they can be the best team in Asia though. Vissel has stated that they want to become the best club in Asia, their approach is to sign high profile players at the business end of their playing days. 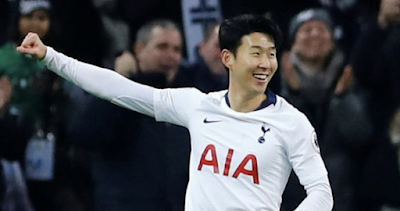 The players they've targeted though are still fit enough and good enough to play at a level that is high enough and reliable enough to put in solid performances for the club. 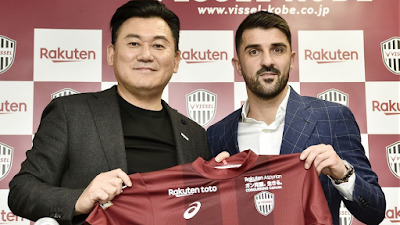 From this point of view, it's a good policy by Vissel, they're signing extremely professional players who are known throughout the world. Vissel Kobe's status around the world has been raised instantly by signing Iniesta who is one of the world's elite players and is still capable of producing magic. Villa and Podolski are also exceptional players who come across as being very professional. This will help in club's performances on the pitch, and should also help the younger players in training too. So for these reasons good business all around...right? Well not quite so, you cannot become the best club in Asia by signing elite players alone, there are so many strands to running a football clubs and becoming the best in the region or the world. I always believe the running of the football club to be like a tree, a tree needs a lot of roots for the branches to grow. Without all the roots the tree cannot survive and the branches cannot grow, so therefore only focusing on one root will not produce a lot of branches, you need to make all the roots prosper so the tree can be full of branches and grow to be the best bloody tree in the forest. So it is a good policy if Vissel isn't only focusing on signing high profile players, but a bad policy if that is all they're focusing on. One thing for certain is that Vissel Kobe has guaranteed that they will have good attendances for the next J-League season. Iniesta has already boosted interest with games being sold out after he was signed, and there was a clamour to buy a Kobe shirt with his name on it. Now that Villa is going to join Iniesta and Podolski this means that the attendances should be good all season, and also if the three of them can click, their attacking play should be a joy to watch. The goals should flow which will be great for the fans, ticket sales, merch sales and so on and so forth. On that note, Vissel will be expecting to recoup quite a sum back of the outlay shelled on bringing these players to Japan. It is going to be interesting to see if the strategy put in place will be successful or fail.